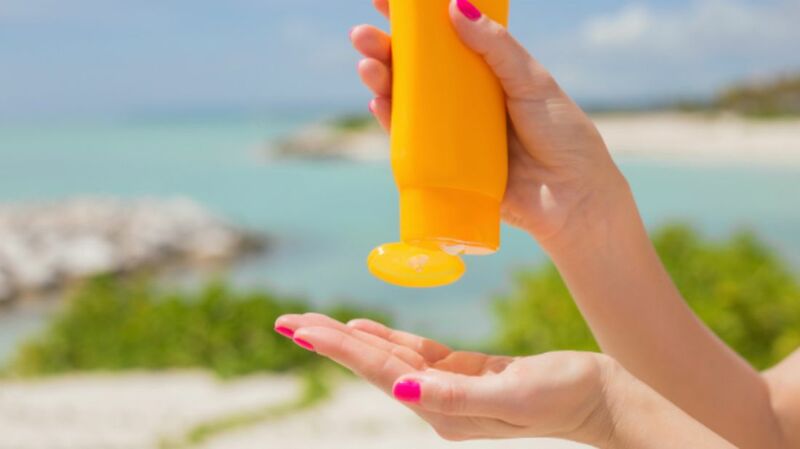 Consumer advocates from the Environmental Working Group (EWG) say sunscreen companies have been artificially inflating their products’ SPF ratings. They presented their concerns in a letter [PDF] to the U.S. Food and Drug Administration (FDA). Sunscreen is a slippery thing to begin with. A 2015 study found that many Americans are confused by the jumble of numbers and acronyms on sunscreen bottles. We don’t know our UVA rays from our UVB, and we definitely don’t understand SPF, even if we think we do. But that’s not really our fault; as a measurement, SPF is almost unnecessarily complicated. In theory, sun protection factor, or SPF, is exactly that: a measure of how thoroughly a product protects you from the sun. A higher sun protection factor should mean that you’re better shielded from the ultraviolet radiation bombarding our planet. But that’s not how sunscreen manufacturers use the term. To them, SPF is a measurement of how long you can stay in the sun before turning red. This might seem like the same thing, but it’s not, because many sunscreens today are mixed with antioxidant and anti-inflammatory chemicals that can prevent the appearance of sunburn without preventing the damage that ordinarily turns skin red. By adding these compounds, sunscreen makers can legally claim a higher SPF without actually offering more sun protection. 3. Require sunscreen makers to include the real sun protection factor on their bottles when it’s lower than their doctored SPF. In the meantime, don’t give up on sunscreen. You should still wear it every day and reapply every two hours. And don’t forget your hat.